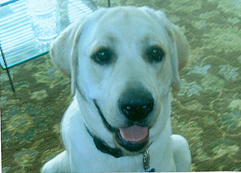 A generous donation was made in memory of Shiloh from your friends Shirley, Jim & Carmen. Shiloh you were a gift to all who knew you. The 6 years we were able to spend with you will never be forgotten. We are making this contribution on behalf of your “family” in hopes there will be a cure soon. You will be missed! . A generous donation was made by Kathleen Bradley in memory of Darby. A generous donation was made by Sandy and Sarah McLeod in memory of Ally. A generous donation was made by Mimi Lyddane in memory of Sarah Sutkus. A generous donation was made by Trisha Lawrence in memory of Hashbrown 4/02-3/08. A generous donation was made by in honor of Zuma Laffer – Tiny Town, NY from her ever loving Aunt Eileen. A generous donation was made in honor of Cicely DuBois – Phoenix, AZ from your Mommy’s friend Eileen. A generous donation was made by Kim Battles in memory of Jack. On what would have been his 7th birthday if prostate cancer had not taken him. We miss him and think of him everyday. A generous donation was made by the Production Department at Emmi Solutions in memory of Chris Sewell’s best friend Owen. A generous donation was made by Steve and Wendy Livanavage in memory of Rosie Magoo. A generous donation was made by Jane Zwier in memory of Player. A generous donation was made in memory of Chatham by Tim King. A generous donation was made in memory of Chatham by Lu and Wilkie Shepard. A generous donation was made in memory of Chatham by Greg, Joe, and Taylor. A generous donation was made by Billie Merlo in memory of Ham Bone. You are such a wonderful friend. Although you are not my dog, I love you as if you were! I hope this donation will help others where you could not be helped. I will miss you. 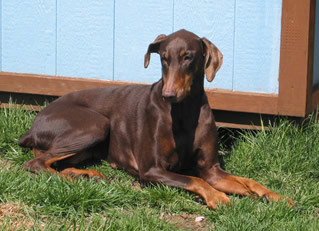 A generous donation was made by Sherri Rosedahl in memory of Tiki. 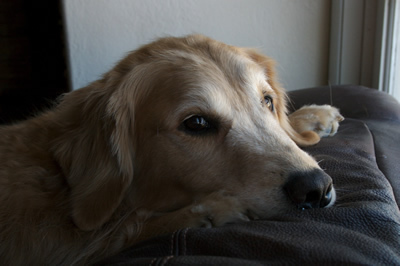 My sweet & beautiful 5 year-old Golden. April 5, 2003 – April 14, 2008. She had Acute Leukemia. We had only 9 days from diagnosis. Please find a cure. A generous donation was made by Pauline Javorski in memory of Angel Javorski, July 1, 1994 – April 3, 2008. A generous donation was made by Ari Bushell in memory of Powder Polo. A generous donation was made by Douglas Griffin in memory of Cherokee Harvey. A generous donation was made by PupLife.com in memory of Ashby. 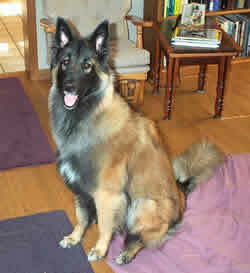 A generous donation was made by Layne Kizler and TravelhoundsUSA.com in memory of Duncan. A generous donation was made in memory of Steve and Mary Shepard’s beloved Labrador retriever, Chatham, by his friends at Consona. A generous donation was made by Gary and Sara Nice in memory of Duncan who died of Hemangiosarcoma at the young age of 6. Dunc we love you and miss you everyday. We have now lost 3 dogs in 3 years to Cancer. 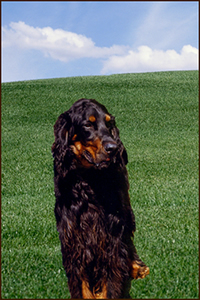 A generous donation was made by the employees of GordonDerr as well as a matching contribution in memory of Bruce Siddon’s Gordon Setter, Simon. Read more about Simon. 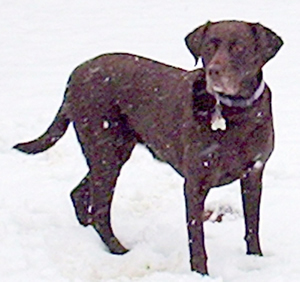 A generous donation was made by Dean Cromwell in memory of Barb Hengelfelt’s labs, Shelby and Tucker. A generous donation was made by Sherri Rosedahl in honor of Tiki – 5 year old Golden Retriever, diagnosed yesterday with Lymphoma. A generous donation was made by Beverly Lewnau in memory of Willard and Barabara Bailey’s CH BeBop UDX 2. April 3rd 1994 to April 2nd, 2008. A generous donation was made by David Fudala and family in memory of Buster a Rhodesian/Hound mix who passed away from Cancer at agae 12. 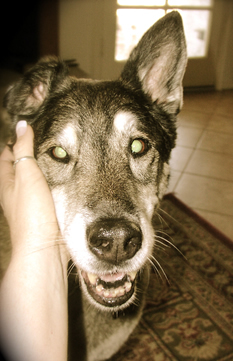 A generous donation was made by Jon and Kim of Jolta Java in memory of Casey and Jake. A generous donation was made by Marcia Walsh in memory of Elaii 2007 Shea 2002 Seamus 2001 Cassie 1996 . A generous donation was made by Debbie Miller in honor of Sachos, our 11 year old boy that is fighting cancer.